Desde hace tiempito estaba ansiando hacer una tarjeta con un "Vintage Santa" asi que aqui les comparto mi primera tarjetita antigua. Esta tarjeta la hice para el reto #24 del blog Winter Wonderland. It's been a while since I wanted to play with a vintage Santa. 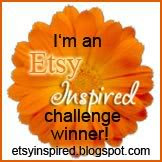 Here is my very first vintage card. 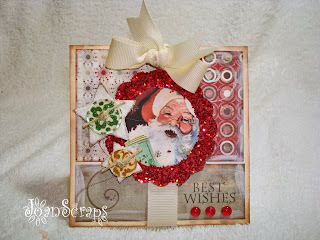 I made this card for the Winter Wonderland sketch challenge #24. Hope you like it. Miraaaaaa! Te quedo bella, preciosa, me encanta! Me la voy a copiar con tu permiso. Me encanto muchas muchas veces. Preciosa!!!!! ooooh this is gorgeous, fantastic santa image! 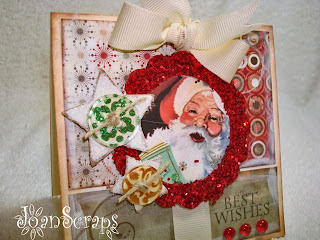 This is just beautiful and I love your vintage Santa. Thanks for joining in with Winter Wonderland. 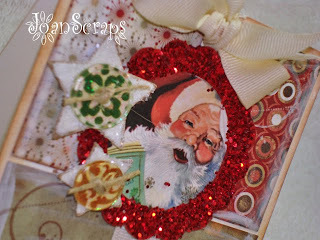 Absolutely gorgeous vintage card ... love the santa image!